To see an Australian without a beer during the summer is like an American tourist without a fanny pack. Stereotypes aside, a coldie or two surrounded by friends at the local tavern is one of the great Australian pastimes. However, over the years, we’ve become more refined as a drinking nation. The XXXX’s or the Toohey’s Extra Dry no longer satisfies our palette and we are now searching for unique creations from the local microbrewery down the road to the artisan crafted ale from the other side of the world. The Sunshine Coast has started to catch on to these trends and punters are now finding boutique venues that support local and interesting crafts. 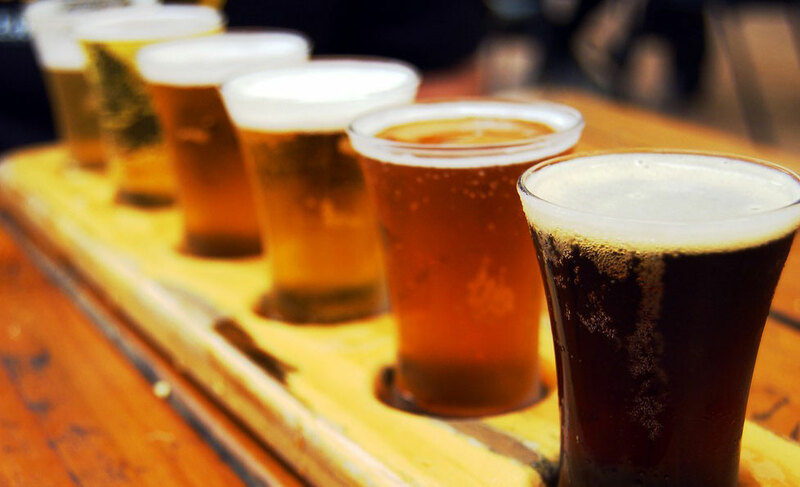 Read on and find out what establishments on the Coast serve the best cold brews. Drinking a beer on the Sunshine Coast is no longer confined to the sticky tables of the pub, The Piano Bar is a fine new establishment that locals have fallen in love with. Fitted out with Victorian style décor, you’d be surprised to find that their extensive tapa’s list features authentic Mediterranean cuisines courtesy of owner Dimi who originates from Cyprus. While wine is the main feature here at The Piano Bar, the locally made brews sourced from all around Australia are varied enough to warm your tastebuds. Enjoy a Stone and Wood from Byron Bay or a White Rabbit and settle yourself in for one of the local jazz and blues acts performing seven nights a week. Taps is unlike any other venue that’s been introduced to the Sunshine Coast or Australia for that matter. They offer a truly unique concept that allows the patrons to have a little fun when trying new drafts. Want to know what it is? Visit taps and you’ll be able to pour your own craft beers and ciders from your own table. If craft beer is what you want, then craft beer is what you get at Taps, no draught is sub-par nor does it condone ones with wishy washy names that you were surprised were able to fit on the bottle. Must try? Even if Ginger Beer doesn’t excite your golden ale appetite, make sure you at least give this infusion a try – it’s one of the best you’ll find on the Coast. Want to experience the hidden bottled pleasures of the Sunshine Coast? You’ll find it bubbling away at the Sunshine Coast Brewery. One would describe their range as interesting with anything from Hot Chilli Beer to Ginger Kegs and Summer Ale for those who would prefer the safer, less mouth scorching option. That aside, the Sunshine Coast Brewery’s delectable concoctions do an excellent job blending together all the essences and flavours of this warm coastal region. For a coldie after a grinding day at the office or a sunny afternoon session spent with friends, be sure to add one of these venues to your must try list.